Lately I've been quite busy working on Winds of Trade v0.6. 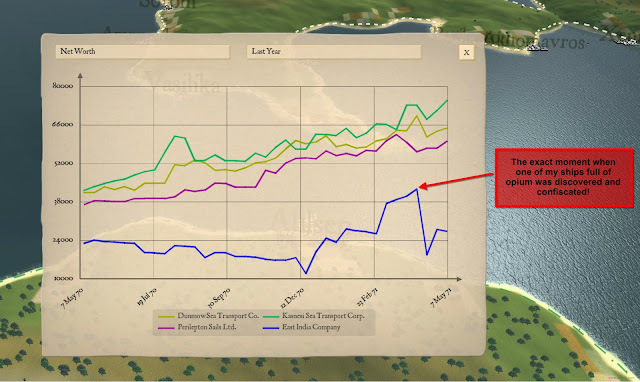 This is a major milestone for the development, as it will be the first version of Winds of Trade that will be distributed to many different people in order to get their feedback. So far I had only done that with people close to me. 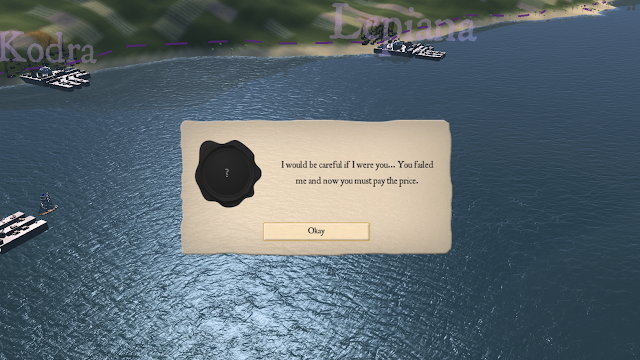 It will also be the first version of the game that will have its economy simulation pretty much complete. If nothing goes awry, it should be ready to be shipped by the end of the month. 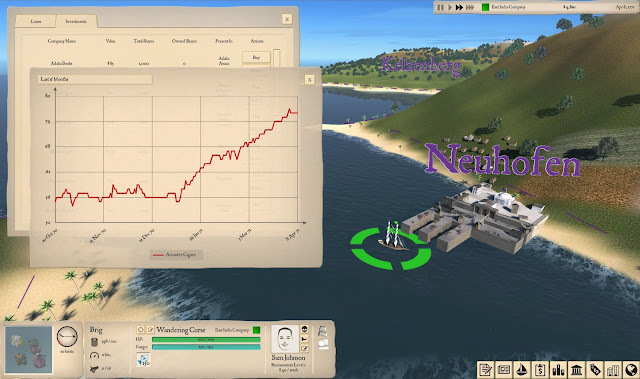 Production, consumption and price simulation for 20 different commodities, including sugar, cigars, opium, iron, wood and paper. Stock market with companies that produce and consume resources in the game world, so you can help them succeed in order to maximize your profits. With enough money and political leverage your trading company can establish new colonies around the world in order to exploit natural resources and give you an advantage over your competitors. Smuggling of illegal goods to sell in the black market. Great rewards, but also a huge risk of being caught and harshly fined. Rule 1: Don't get caught. Earn additional money by completing contracts for both governments and private companies. Perhaps also a secret deal to obtain some illegal products every now and then... But be careful, if you fail, there will be consequences. Unpredictable events - such as forest fires or a particularly great harvest - and diplomatic turmoil are constantly changing the supply, demand and prices of the different commodities. 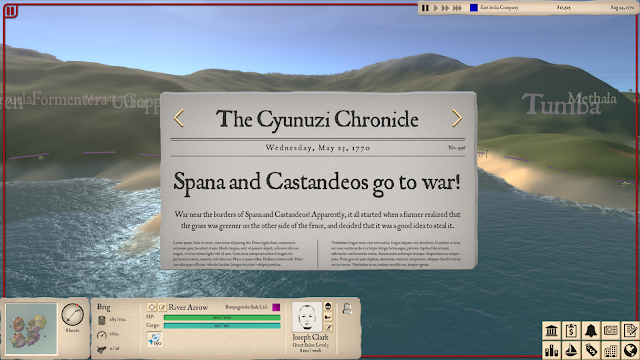 The next big thing coming after v0.6 is complete will be the battle system, including fights with pirates and having your ships under attack when they go through war zones.